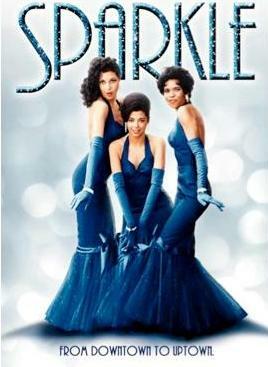 Sparkle" the remake has been green lighted by Sony productions and is set to begin filming soon. It's not "Dreamgirls" and it certainly isn't anything like it, let's just put that out there right now, at least that's what producer Debra Martin-Chase told Sister 2 Sister and now you know. Although the story is also inspired by the story of The Supremes, the plot is a bit thicker and a bit darker than most are used to. To be written and directed by film couple Mara and Salim Akil (known for "Girlfriends" and "The Game"), the film takes place in the late 50s in Harlem. It takes a journey with the Williams sisters who encounter some obstacles along the way on their path to success. "The plots are very different. I mean, Sparkle's much darker," Debra said. "It has some real things about 'what price are you willing to pay for success. The original "Sparkle" was released by Warner Bros. in 1976 and starred Philip Michael Thomas, Irene Cara and Lonette McKee. Lord, I think I'm going to be sick. I normally try to reserve judgment for these types of things, but on this subject i cannot. 'Sparkle' is my all time favorite movie. Why can't we just let a classic be that...a classic. Must we always mess with those things that are not broken. As much as I love Debra Martin Chase and the Akils, I just can't see them elevating this story any higher. These people are creative enough to come up with something fresh and original. Just please leave 'Sparkle' alone. I mean seriously, who out there do you honestly think can play Sistah better than Lonette McKee? I mean really. In the words of a very wise woman by the name of Florida Evans, "Damn, Damn, Damn!!!!!" This was a great move, sad. but great and they were beautiful! Can't wait for the remake, hope it is just as good! everything Does NOT need a remake...classic movie & like Sade said: Never as good as the first time! Why can't folks leave well enuff alone?? ?